Alex Marsh reports on an event at the Bristol Festival of Ideas. This post first appeared at PolicyBristol Hub. The answer Benjamin Barber offered in his stimulating presentation on Monday night is that we need to look to cities. More specifically, we need to look to mayors. His case is in part rooted in the fact of an increasingly urban future. But it is also based upon the characteristics he identifies as distinctive to mayoral governance. 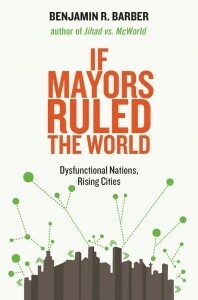 This is an argument developed at greater length in his new book If mayors ruled the world: Dysfunctional nations, rising cities (Yale University Press).